BROOKLYN, N.Y. — A Brooklyn man who had expressed hatred toward his girlfriend for not obtaining an abortion is accused of beating his infant daughter into a coma on Father’s Day. Shaquan Taylor, 19, had posted on social media in February of last year that he felt “disrespected” when his girlfriend told him that she planned on keeping their baby. “Told that lil [expletive] to get abortion [and] she tells me she is but still [going to] keep it. Exactly why I hate that lil [expletive],” he wrote. Taylor’s girlfriend, Tammy Lewis, now 16, gave birth to a girl around the time of his posts, who she named Nylah. She and Taylor had a rough relationship going forward, although she said she desired to have him be a part of their child’s life. Last Sunday, Father’s Day, Taylor had Nylah in his possession at his apartment when he sent a message to Lewis to advise that there was a problem and that she needed to come and get the baby. According to reports, when Lewis arrived, she found the baby bruised and struggling to breathe, and began to rush her out of the building, calling 911. But Taylor then allegedly struck Lewis and she and the baby both fell to the ground. Lewis handed the child off to a friend, who then gave the 16-month-old baby to paramedics upon their arrival. Taylor continued to beat Lewis as she tried to leave, and then hid in the bushes following the assault, according to police. 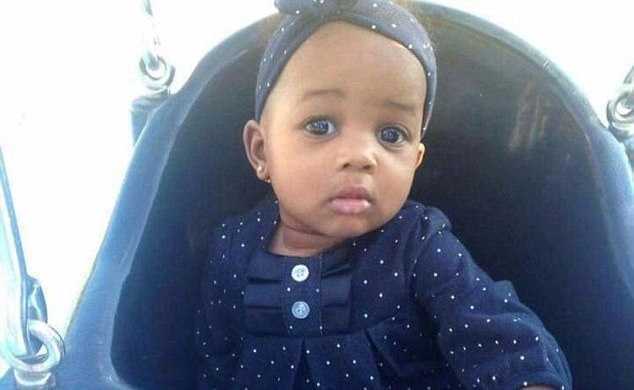 When police captured Taylor following a chase, he first claimed that baby Nylah had fallen off the bed, but then changed his story to assert that she fell off the toilet. However, investigators concluded that the child’s injuries were not consistent with a fall. Nylah was treated for bleeding on the brain and multiple skull fractures, as well as a black eye. She also required a blood transfusion, and doctors have been concerned that perhaps the child might not survive. As of press time, Nylah has continued to fight, but remains in critical condition in a coma. Taylor was taken into custody—spending his 19th birthday in jail—and has been charged with felony assault and endangering a child under 17. He has also been charged for beating the child’s mother, and is currently being held on $250,000 bail. According to the Daily Mail, Taylor had been charged with sexual misconduct in 2015 because Lewis was only 14 at the time he was having sexual relations with her. He was arrested again last year for harassing her, and a protective order was issued three months later.